Enel has reportedly started operations at its first wind facility in Illinois, the 185 MW HillTopper wind farm, through its Massachusetts-based firm Enel Green Power North America (EGPNA). The Hilltopper wind farm is allegedly supported through three long-term power purchase agreements (PPAs) with Constellation, General Motors and Bloomberg LP. 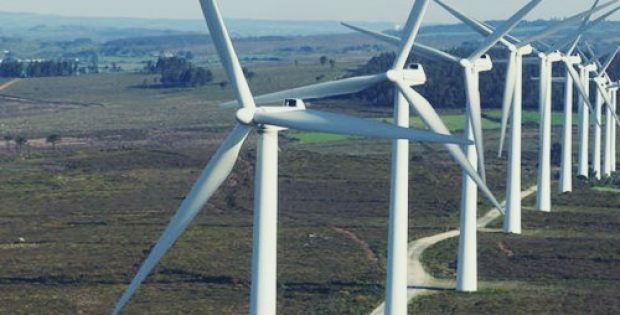 Apparently, Enel would sell power produced from a 17 MW portion of HillTopper, under a long-term PPA with Bloomberg LP, to help the financial services company reach its 100 percent renewable energy goal by 2025. Under a second long-term PPA, the energy generated by a 100 MW portion of the wind farm would be sold to General Motors. The wind energy would be providing 100 percent renewable electricity to all the Indiana and Ohio manufacturing operations of General Motors and will help the company in achieving 20 percent of energy supply from renewables. The company would further sell power produced from HillTopper’s 23 MW section to Constellation under a third long-term agreement. This power would then be sold by Constellation to two corporate customers via separately signed retail agreements. Head of Enel Green Power, Antonio Cammisecra, mentioned that HillTopper’s completion signifies the company’s commitment towards continued growth through expansion into new markets and areas, for serving new corporate and industrial customers. Cammisecra further said that the company is helping its customers in meeting their clean energy goals through this first project in Illinois, providing competitive solutions which adapt to their business objectives and power needs. Records show that Enel has already inked over 1.2 GW of power supply contracts with C&I customers to date in the US, including the PPAs for HillTopper. The company is capable of creating tailor-made solutions for its corporate customers through these agreements, with a goal of providing them with long-term access to a reliable, sustainable and affordable source of power.